Your Journey Begins With Us! 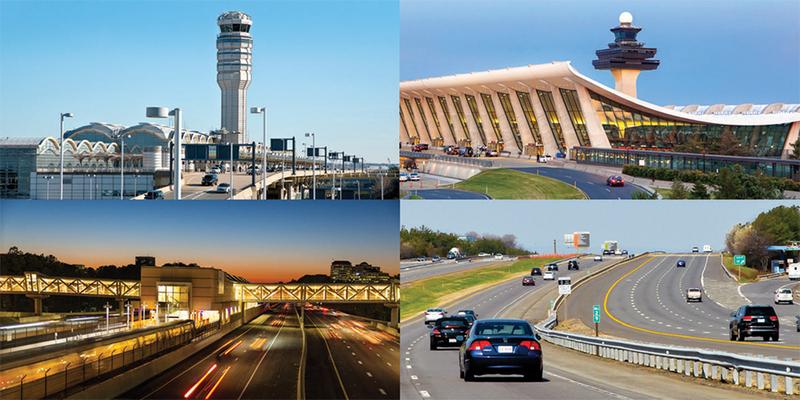 The Metropolitan Washington Airports Authority operates a two-airport system that provides domestic and international air service for the mid-Atlantic region. The organization consists of more than 1,750 employees in a structure that includes central administration, airports management, and police and fire departments. We offer an exciting array of employment opportunities in many different departments that allow for career growth and advancement. We recruit the most qualified people while recognizing and encouraging the value of diversity in the workplace. In addition to operating Ronald Reagan Washington National and Washington Dulles International Airports, the Airports Authority is responsible for capital improvements at both airports, management of the Dulles Toll Road and the design and build of the Dulles Metrorail (Silver Line). To find out more about working for the Airports Authority, click here and follow us on our careers Twitter @MWAAcareers. Thank you for your interest in an Airports Authority career. The Airports Authority's total compensation package offers comprehensive benefits that complement your salary. The benefits you receive depend on your employment category. For an overview of our benefits, click here. Benefits information, for eligible employees, will be emailed to you in advance of orientation and a copy will also be provided during orientation. Eligible employees may enroll in benefits through the Employee Self-Service portal within their first 31 days of employment. Employment period will be during the summer months. Positions are located at Ronald Reagan Washington National Airport, Washington Dulles International Airport, or the Metrorail Project Office (Herndon, VA) based on the functional area. Have a major (pre-major) that aligns with one of the functional areas indicated in the “Positions” section above. Summer Interns are paid a competitive rate and are eligible for the Commuter Transit Subsidy benefit, which allows for a predetermined monthly subsidy when using public transit. Summer Interns may not work more than 40 hours per week. Selected Summer Interns are required to undergo a background check. Those who pass successfully are made Final Offers. Summer Intern job ads will be posted online at www.mwaa.com in January. Once the jobs are posted online you can apply by clicking here. Once the application process is completed, a review of your resume and supporting documentation will be done to determine if you meet the minimum qualification requirements. You must complete the Assessment Questionnaire. Your resume and application are then compared to your assessment questionnaire responses. If a determination is made that your application does not support your assessment questionnaire, your application will not receive further consideration for this announcement. Applicants who meet the minimum qualifications will be screened for further consideration.